Just because you’re camping does not mean to say that you have to drink instant coffee. We understand that campers like to rough it out and that they have no room for all the gizmos and gadgets that make life comfortable. 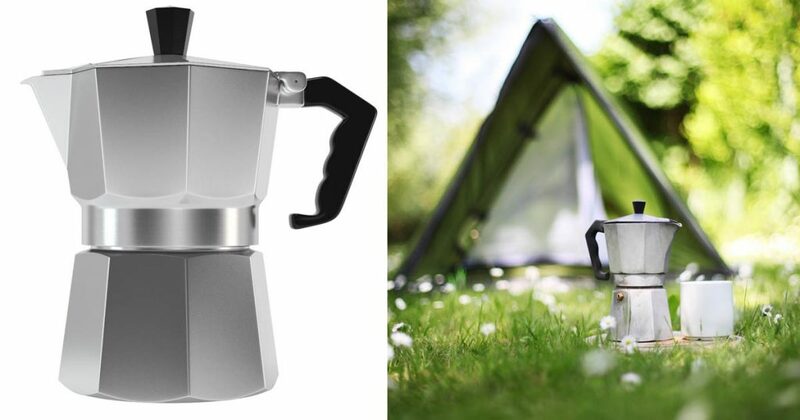 Since lugging your favorite coffee or espresso maker is out of the question, you will probably need to check out these fabulous coffee makers for your next outdoor adventure. 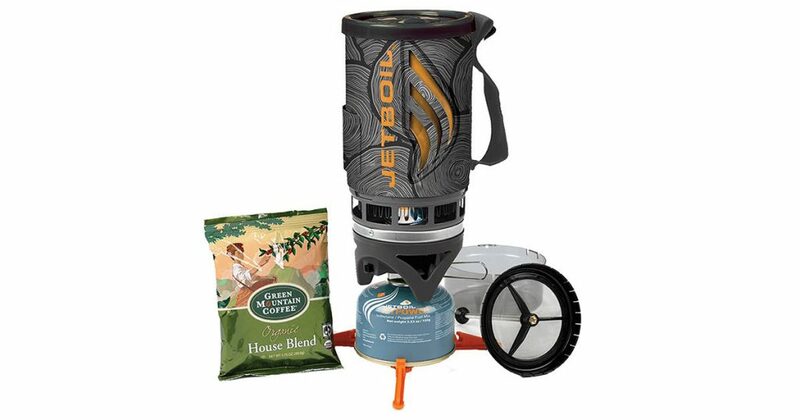 Get your caffeine fix in a flash with the Jetboil Flash Java Kit. Their proprietary flux ring heating system can boil a liter of water in two minutes. The kit features a French press and neoprene sleeve with color change indicator so that you can cook dinner or enjoy your favorite brew faster. Propane camping stoves can be a bit problematic if you’re trying to cook or brew coffee higher than 10,000 feet but the Flash Java Kit is still worth the mention thanks to its versatility and fast heating. 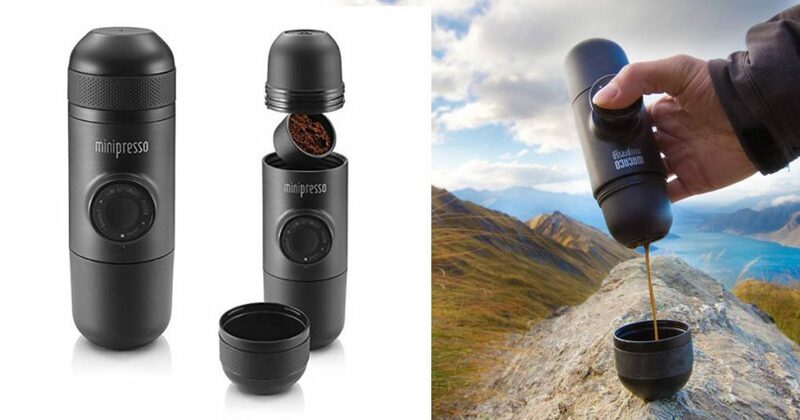 If you prefer espresso to coffee even when you are camping than the Wild Hybrid by Handpresso may be just what you are looking for. 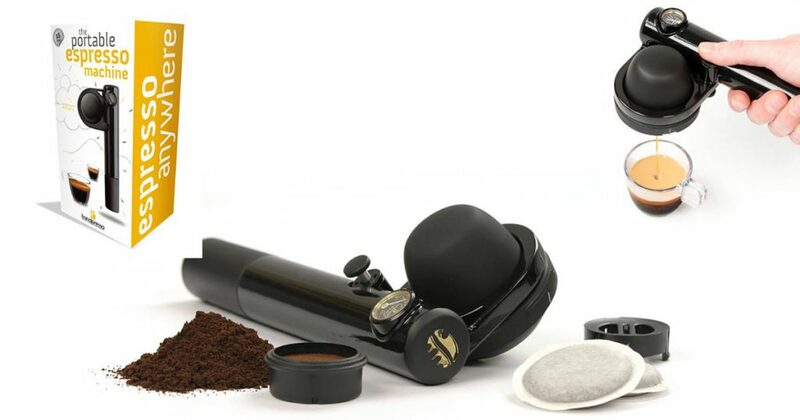 It uses a hand-pump and your choice of grounds so that you don’t have to go without. Handpresso also makes single pods so that all you need is hot water and you’re ready to indulge. The best thing about this coffee maker is its small size. You can carry it inside your daypack so that you can enjoy a quick cup of coffee should you decide to explore outside the campsite. 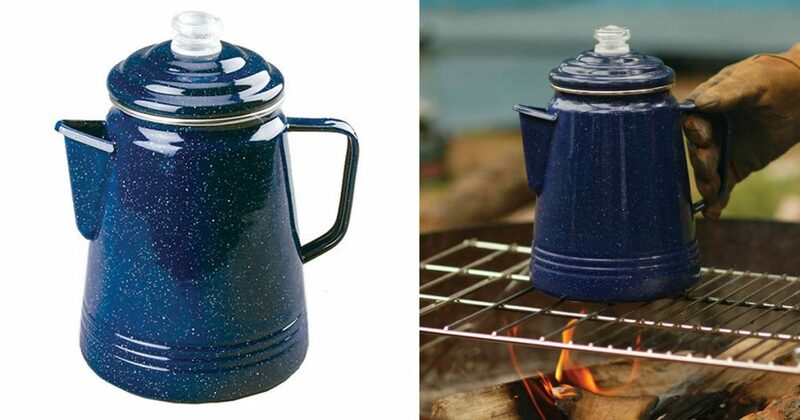 Coleman makes some of the best camping equipment and their coffeemaker is a good choice. 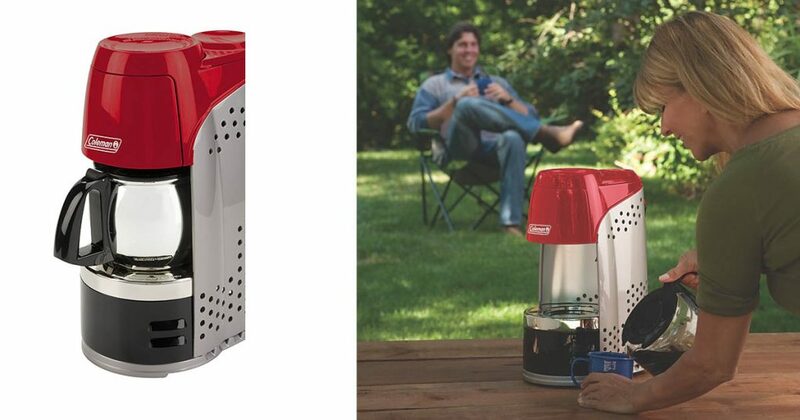 The Coleman Portable Propane Coffeemaker is perfect for people who want to enjoy their home brew without the complications of an external power-source. It comes with a matchless mechanism so cor convenience and safetyl. It’s easy to get started so that you can enjoy a hot cup of Joe in 15 minutes. Coleman makes a carry case that can be ordered separately. If you want to go old school and authentic the Colman 14 cup percolator is hard to beat. It is at home over a propane grill or a campfire, and it is easy to clean. If you are making coffee for several people the fact that it holds 14 cups is a plus. It is probably not ideal for backpacking, due to it’s size, but if you are driving to your campsite the Coleman Percolator is a great option. The MiniPresso is really compact, but this does not seem to have a negative effect on quality, and it’s small size means you can make espresso just about anywhere you can heat up water. The MiniPresso does not require a power source, so you don’t need to plug it in or carry batteries. You will need a way to heat water though, but backpacking stoves have gotten so small you can heat water just about anywhere. Another bonus to the MiniPresso is that it has a built in metal filter which is great, because that is exactly the sort of thing that is easy to forget on a camping trip. This mobile espresso maker turns out impressive quality for such a compact device. The Nights Compression espresso machine is a classically designed espresso maker. It works over a stovetop, but it’s relatively small size makes it perfect for camping. It can be used on a propane stove or a grill over a campfire. At only 8 inches tall and weighing in at a measly 8 ounces this compact espresso maker fits easily into a backpack. It has a built in filter, and it does not require a power source, so there are no accessories required other than coffee. Just drop this thing into your backpack with some espresso beans, and head for the hills.